This file defines the pass that looks through the machine instructions late in the compilation, and finds byte or word instructions that can be profitably replaced with 32 bit instructions that give equivalent results for the bits of the results that are used. Lowers COPY nodes of EFLAGS by directly extracting and preserving individual flag bits. This file implements the targeting of the InstructionSelector class for X86. This file contains the X86 implementation of the interleaved accesses optimization generating X86-specific instructions/intrinsics for interleaved access groups. 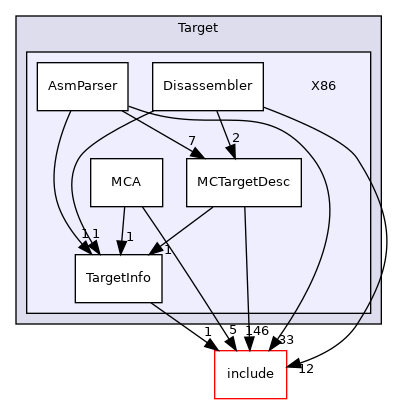 This file implements the targeting of the Machinelegalizer class for X86. This file implements the targeting of the RegisterBankInfo class for X86. Pass that injects an MI thunk implementing a "retpoline".